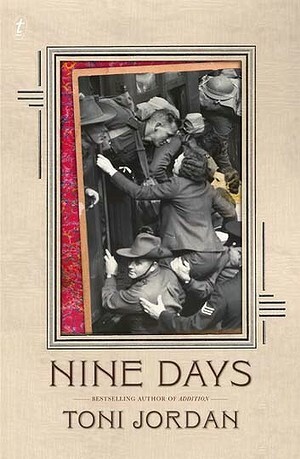 Over nine days told from nine different characters’ points of view, Toni Jordan lets us into the world of one family, covering generations, from the thirties through to present day. Ambitious? Yes, indeed. The main focus is Kit, one of two brothers growing up in Richmond in the working class, pre-WW2 days and his sister, Connie. Although is it? It is the whole family, it is legacy. It is change and time and pain. I thoroughly enjoyed the non-chronological nature of the structure that shot us forward and back in time and revealed the main story bit by bit. I felt that it only just captured much of the story, and that I would have liked Fifteen Days, or Eighteen Days, or even Twenty-Five days. There was much untold, and perhaps that was the beauty of the story.